‘Pantham’ is getting ready to release worldwide on July 5. On this occasion hero Gopichand interacted with media in a press meet held on July 4 in Hyderabad. 'For A Cause' is tagline for the film produced by KK Radhamohan under Sri Satya Sai Arts Banner. K Chakravarthy is making his debut as director through this film. Mehreen Kaur Pirzada is the female lead. The film has music by Gopi Sunder. 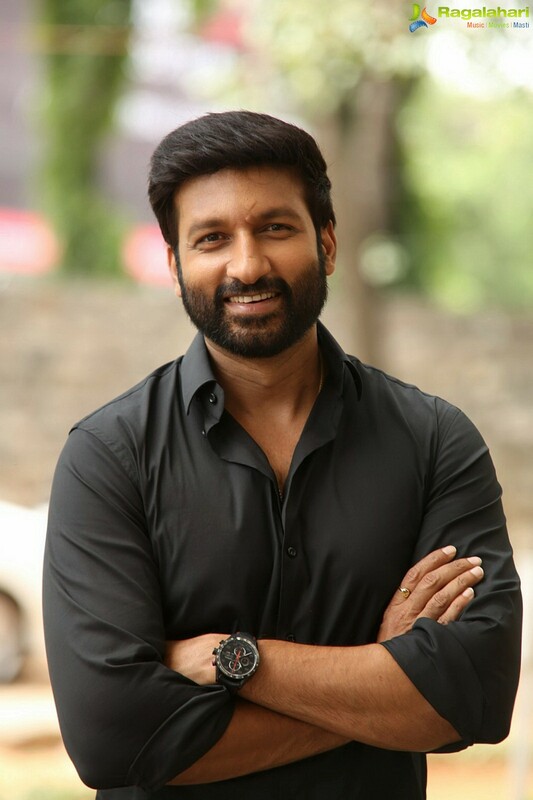 Read on to know what he has said about his upcoming release Pantham'. We tried our best to tell you about an ongoing issue in the society. Audience who watch this film will realise that the issue is deep rooted in the society and they too can contribute to resolve it. I never concentrated on the count. I just listened to the script and after okaying it I realised that this is my 25th film. I feel every film as my first film. So many have questioned me why I have not done thought provoking films as my father did (late director T Krishna). I have answered them saying that I have never came across such scripts. Now, this Pantham is going to be a powerful film. It’s not an out and out powerful film, but it deals with a social cause. I strongly believe that cinema is a powerful media. If something good is told it will surely reach the people. When he narrated me the script, right off bat, I questioned him that can he execute this film as beautifully as he visualised it to me. He replied that if given a chance he will prove it. He carved out the film as beautifully as he narrates. Prasad Murella’s experience worked as a catalyst. Sridhar garu has introduced KK Radha Mohan. Initially he was apprehensive as the director is new. I convinced him to take a decision only after listening to the script. He was very much impressed and fixed a budget and made the film. He is happy now. Radha Mohan garu is a gentleman who sticks to his words. So far, all the stories which I have acted in are good. If you keep aside success and failure, stories of the movies that I have acted in are good. Some movies didn’t fare well might be due to execution flaws. It’s common that we get tensed for every release. My character in the film wishes good for everyone and who will contribute his share to overcome the issues prevailing in the society. Ramesh Reddy and Srikanth has penned the dialogues. I have listened to the script with the dialogues. There will be powerful dialogues at a particular stage in second half. In the teaser and trailer, you have seen some powerful dialogue. There are many more such dialogues in the film. I have been wanting to act in such powerful scenes since long time. Now, I got the opportunity and I enjoyed it. I am ever ready to work with Sampath Nandi garu. Story discussions are going on. I will reveal the details soon. I am doing a film with director Kumar under BVSN Prasad garu’s production. It’s a clean love story.